Finally, the day has come for the Children Choir of HOPE worldwide Malaysia to perform the song - Rasa Sayang as an appreciation towards the continuous support and generosity from MARY KAY﻿. Thanks to Mary Kay for donating RM 30,000.00 to Sentul Free Clinic Refurbishment Project. This year, Mary Kay had sold more than 11,000 lip gloss and lipstick to raise this funds for the Clinic Refurbishment Project! To make this occasion a special and memorable one, we have one of the mothers, Puan Zuraida to make a total of 50 Soap Flowers as a souvenir to give to the special guests of the day. Puan Zuraida also teaching this handcraft to other underprivileged mothers, to empower them in earning extra income for the family. 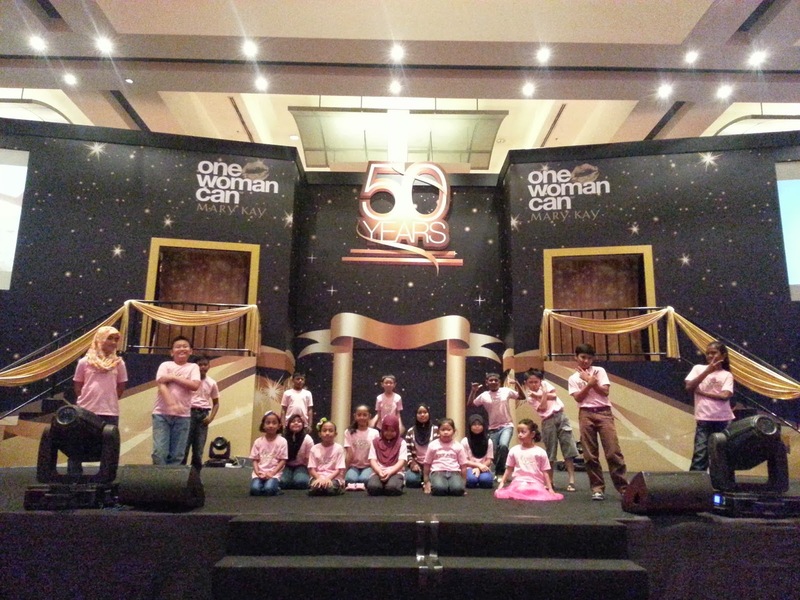 A total of 18 children performed the song "Rasa Sayang" received loud applause form the crowd! Right after the performance, the children distribute the soap flowers to the special guests. This was indeed a heartwarming and joyous moment. Thanks to Mary Kay for your continuous support and generosity which keep our mission moving forward! Carey Ng's Community Project "Girls Day Out"